When most people have their kitchen remodeled, they will decide to replace the old cabinetry. 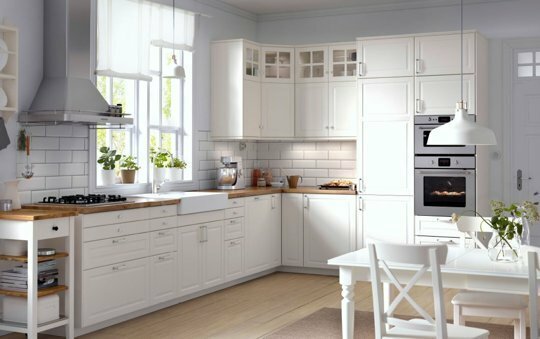 The cabinet in a kitchen are what gives it character, and the configuration of the cabinets do influence the way that people move around a kitchen. This is why it is important to plan the installation of kitchen cabinets with an eye to how they are going to be used. The first thing to do is to avoid putting in overhead kitchen cabinets that are going to extend to cover counter space. This is because the cabinets make it so that the space is more difficult to use, and because someone will eventually hit their head on it. Instead, it is a good idea to install cabinets that are half the size of the counters they are covering. This has the added advantage of keeping all the plates close to the front of the cabinets where they will be easy to reach. One of the best ways to plan the installation of cabinets is to mark where they will go on the floor of the kitchen with tape. This will allow for one to see if it is still easy to walk around the kitchen with the new cabinets.